Disney needs to hunker down and keep crunching the numbers on Fox. TheStreet's Jim Cramer explains why this deal should get done. 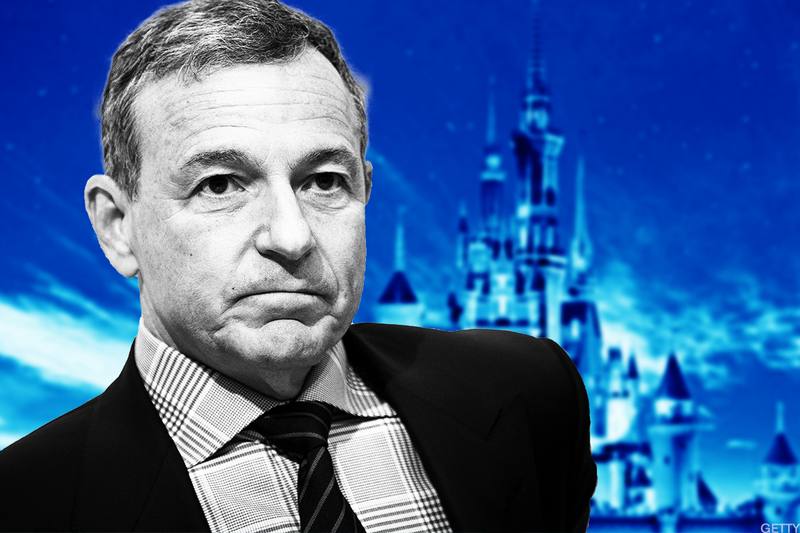 It looks like Disney (DIS - Get Report) CEO Bob Iger is still hunting for one more whale of a deal before he heads off into retirement. The owner of ESPN and Disneyland has restarted discussions with 21st Century Fox (FOXA to buy up some of the media empire's assets, according to a report Saturday from The Wall Street Journal. CNBC reported Tuesday that a deal could come as soon as next week and be worth as much as $60 billion. Talks are reportedly focused on the Twentieth Century Fox movie and TV studio businesses, overseas assets such as Fox's 39% interest in Sky PLC and several U.S. cable networks. Fox News and the Fox broadcast network aren't expected to be unloaded, according to the WSJ report. Disney didn't return a request for comment. A spokesman for Fox declined to comment. As TheStreet reported in November, Comcast (CMCSA - Get Report) has also shown interest in several of Fox's assets. Ultimately, Disney's renewed interest in Fox should come as no surprise. Well, that is if one attended this week's The Deal Economy conference and listened to TheStreet's founder Jim Cramer light up the mic with his Top 12 Takeover Targets for 2018. "Twenty First Century Fox Inc.'s properties outside of sports and news will be bought by Walt Disney Co.," Cramer said, assigning a price tag of at least $25 billion. It would come as Disney faces decreasing value for one of its top assets in ESPN. Buying Fox's media assets would give Disney the greater scale needed to compete in the Netflix (NFLX - Get Report) fueled era of cord-cutting. But don't count on the ink to dry on this mega deal until after federal courts rule on the AT&T Inc. (T - Get Report) and Time Warner Inc. (TWX deal. "I am telling you right now the Justice Department is going to lose that case," Cramer said. "I think Fox [deal] does get done," he added. "Motivated buyers, motivated sellers." Where Does the Motivation for This Deal Come From? Even if Disney doesn't get its prize before year end, 2018 is a real possibility. In fact, next year might be another hot one for M&A. "There are too many companies vying for the same stream of revenue in the same sector," Cramer explained. Some deals (such as Disney exploring Fox), Cramer said, are being done to defend against the advancing business models of FANG names, or Facebook Inc. (FB - Get Report) , Amazon.com Inc. (AMZN - Get Report) , Netflix Inc. and Alphabet Inc. (GOOGL - Get Report) . As these heavyweights continue to flex their muscles, one-time incumbents have no choice but to merge. Other deals will find their genesis in a drive to lessen dependence on other parties or to grab more and more shelf space at the supermarket. For others, deals may be driven by necessity to drive shareholder value, while still more will be the work of "aggressive insurgents," Cramer said. Walmart (WMT - Get Report) , for example, will probably stay aggressive on the deal front next year in a bid to defend against Amazon. "We are trying to mostly build the assortment, a customer is looking to us for not just value but they want to have a wide selection," Walmart CEO Doug McMillon told TheStreet (watch below) when asked about what he is looking for on the deal front. "We are focused on busy families, so moms are important -- we want to make every day easier for busy families." Regardless of motivation, the big deal remains alive and well moving into 2018. Facebook, Alphabet, and Comcast are holdings in Jim Cramer's Action Alerts PLUS Charitable Trust Portfolio. Want to be alerted before Cramer buys or sells theses stocks? Learn more now.